Colorado Security Products has been in business since 1977, under the same ownership and management. We have had locations all around the Denver Metro area throughout the years, and have a reputation for honesty, integrity, and quality workmanship. Many Locksmith services operate out of the trunks of their cars, and are inconsistent in their pricing. We have maintained competitive pricing for our Denver locksmith services, and never add hidden charges. Our locksmiths will talk customers through our services, and be able to give recommendations for upgrades or new products. We have access to a wide range of supplies, and strive to find products with price points that meet our customers’ needs. What makes us the best Denver locksmith is our trustworthiness and reputation for quality. We are licensed, bonded and insured, and we specialize in securing peoples’ most valuable possessions: their treasures. Whether this means material items, loved ones, or employees, we can provide whatever our customers need to feel safe and secure in their homes or businesses. We understand the definition of emergency, and can schedule emergency services immediately and timely to accommodate unexpected situations. Colorado Security Products has Locksmiths and Electronics Technicians available 24 hours a day, 7 days a week, ready and available to deal with any situation that arises. Our years of experience and diversity are what set us apart from other Denver locksmith companies. We can do it all – from locks, safes, cameras, access control – whatever our customers are looking for, they can find it with us. We are current on the latest technological advancements and trends, and are prepared to discuss a number of options for each unique situation. We love to provide information for our customers regarding ways to upgrade their security, and we even provide monitoring services as well. We have a monitoring station located right here in Denver that monitors burglar and fire alarms 24/7. This wide range of services makes it convenient for our customers to request additional products, services and maintain what they already have. 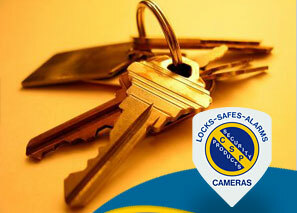 We are your one-stop-shop for Denver locksmith service and security needs!